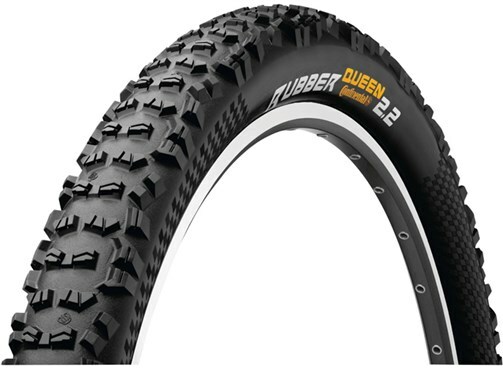 The Continental Rubber Queen is designed for ultimate stability and traction, even when pushing into hard corners. The Rubber Queens phenominal grip on even wet rock is just captivating. Sot Black Chili compound gives a fantastic combination of grip and very low rolling resistance, so there's nothing slowing you down. Great tyre been out several times on it now and it hasn't let go once. Going to get another one for the front.